How do I add a YouTube video to a page? How do I use the media library? Go to the video on YouTube that you want to embed. Choose the video size you want, then copy all the code in the box above. It should start with '<iframe' and end with '</iframe>'. Paste the code from YouTube in the area you want the video to appear. Click the Source button again to return to the normal editor view. This step is important, or the change will not save. In the pagebloom editor for the content you want to embed the video in, enter some unique text in the spot you want the video to appear. To make it easier to find in the HTML code, make sure the text is unique and doesn't appear elsewhere on the page. Click the Source button at the top left (see picture above). 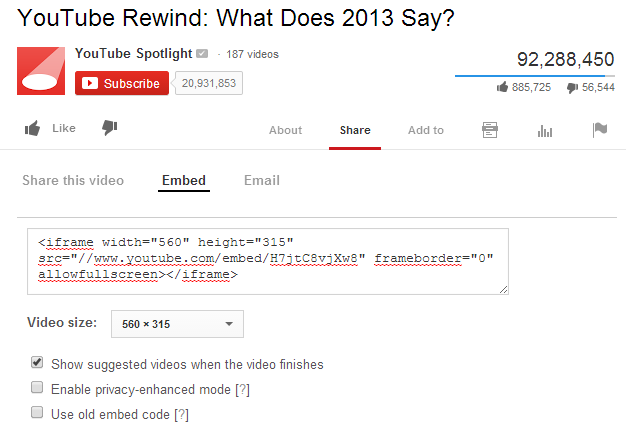 In the source view, find the text you typed in, select it, then paste the code from YouTube. You should see the video embedded in the editor. Click OK to save your changes. You can manage your website's media files through the Media section of the administration area. Media files include anything you can upload to your site, such as images, PDF documents and Flash animations. 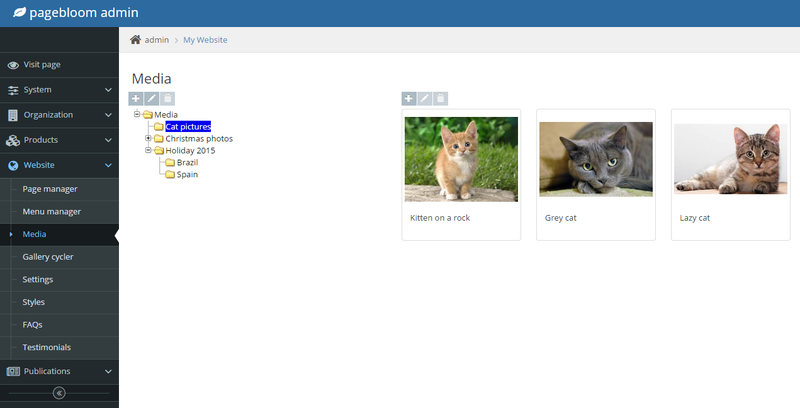 You can access the media library by going to your Admin page, then expanding the Website category, then clicking Media. There are two ways your media assets can be used. Most parts of pagebloom that let you select an image will bring up an asset selection window that shows the same tree and grid as the media library. From this form you can select an asset. Make sure only one asset is selected before clicking Save. 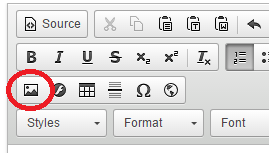 Click the image icon on the toolbar. A window with your images should appear. Along the top is a list of your folders. Click the name of the folder to select it, and the images in that folder will appear below. Select the image you want to add to your text, optionally change the values for width and height, then click OK.
"It is not possible to add new media assets via the Browse Server button"